According to RoSPA and the HSE, there are around four thousand deaths and injuries directly related to faulty household electrics every year. These figures are confirmed by the charity Electrical Safety First, who also say the about half of the accidental fires in the home are caused by electrical faults. Analysis of their statistics show that on average, four people die in the UK each day as a result of these fires. But how can you spot a developing fault if you haven’t been trained as an electrician? And what should you do about it if you think that your electrical system is faulty? It is actually a lot easier to identify possible electrical faults early than you might think, but harder to solve them. Buzzing noises from switches, light fittings, sockets and so on are not normal. Neither are crackling noises. If you hear either, you should switch off the electrical supply to that circuit and call in an emergency electrician to your clapham property. Fires require heat to start. If you notice an applance or other electrical equipment running hotter than normal, it can be a sign there is an electrical fault. Overheating electrical fittings or appliances require repair or replacement asap since they are a significant source of accidental fires. Smells of hot plastic or the characteristic ‘fishy’ smell of certain types of overheating insulation also require the urgent attention of of a Clapham emergency electrician too. If a circuit breaker trips, it is an easy job to reset it. But if it then trips out again and again, it is a good indication that you have an electrical fault. It’s best not to take any risks, call us, we can be at your SW4 property very quickly to respond to any electrical emergency situation. Flickering lights can have many causes, but if they continue to regularly flicker or dim, then there is probably a fault in the lighting circuit. Here at South London Electricians, we use the latest diagnostic equipment to find the fault quickly. South London Electricians offer you a professional and affordable 24 hour emergency service. Our rates start from a low £65 per hour, well below what many other emergency electricians operating in the SW4 area will charge. Why? Is it because we are sub-standard or cut corners? No, we just don’t feel that it is right to sting you with an unreasonably high charge because you have an electrical emergency. Our experienced emergency electricians are available to respond to your call at any time of day and night. We are all equipped with the latest test equipment that helps us to pinpoint most developing electrical problems quickly. You benefit from a fast repair at a lower cost as we will be in and out faster than many others. We have both domestic and commercial emergency electricians available in the Clapham (SW4) area and can therefore deal with any emergency electrical problem rapidly – consumer units, 3-phase supplies, lighting issues, faulty wiring. For your peace of mind, we are registered with all the leading industry and regulatory bodies who continually monitor and assess the quality of the work we carry out. All of our electricians carry a wide range of spares so normally, one visit is sufficient to make a repair. Many seemingly SW4 electricians are actually national companies advertising for work in your area. Most of them have a receptionist to take calls. They will then pass on your details to an electrician. The electrician will then call you back to discuss your electrical emergency (again). All this costs valuable time. 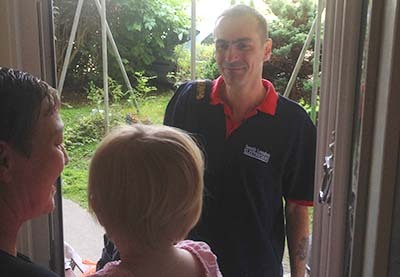 Here at South London Electricians, you will speak directly to an electrician for your area. Instead of pacing up and down, waiting for a call back, by ringing us, one of our emergency electricians could already be on-site, fixing your problem. Our emergency electricians are familiar with your area and will know the fastest route to your home or business. That is not always going to be the case with an electrician from a national company who may have to cross London from Watford or Enfield … and that could take some time!